Taiwan is a state in East Asia. The official language is Chinese. Below is a selection of resources for searching for employment opportunities as a foreigner in Taiwan. 104: 104 is the best job search engine in Taiwan. Learn 4 Good: Learn 4 Good tends to be geared towards job opportunities in teaching, but I’ve seen teaching opportunities in other sectors as well. Jobs in Taipei: Go to this site to get a good selection of English-speaking jobs in Taipei. Career Jet: I’m sure you’ve heard of Career Jet. They have job search options for Taiwan. Glassdoor: Glassdoor has opportunities in Taipei and Hsinchu. Indeed: The Taiwan version of the big U.S. job search site Indeed.com. Teaching English will be your easiest option (if you are a native English speaker that is). All of the sites below are pretty similar and have a massive amount of teaching English job options. Browse through each of the sites for any English job opportunities in Taiwan. Also, be sure to check out this cool table from the International TEFL academy that shows how much money teachers can expect to make in various countries around the world. Tealit: Tealit is awesome and a good place to begin if you are interested in teaching English in Taiwan. Reach To Teach Recruiting: An excellent interview by an American teacher in Taiwan. FULL DISCLOSURE: I know Carrie, the owner of Reach To Teach Recruiting. She is awesome and can help you if you are interested in teaching in Taiwan. <strongTesall: Big teaching jobs aggregator. Footprints Recruiting: One of the largest ESL teaching recruiters in the game. Transitions Abroad: Transitions Abroad has a really comprehensive link list for anyone considering becoming an expatriate in Taiwan. eFinancialCareers: My favorite search engine for finance jobs on the web. I used them during my Wall Street days. They are limited for Taiwan. There you have it. The best places to find jobs in Taiwan as a foreigner. 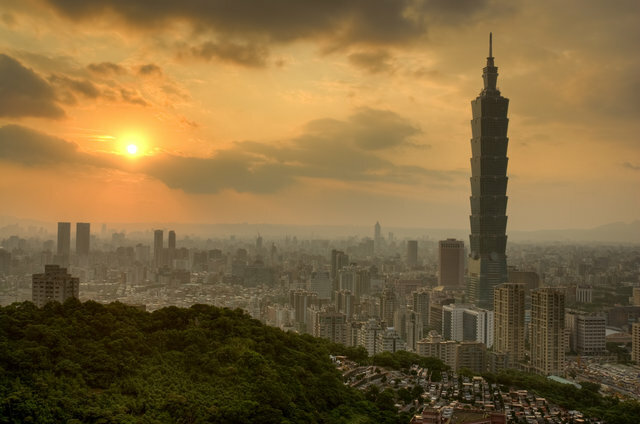 For information on visas for Taiwan, be sure to check out my Taiwan visa page.